To celebrate the success of Garún Nr. 19, the highest rated Icelandic beer on Untappd.com, BeerAdvocate.com and RateBeer.com (where it scores a whopping 98/100), we decided to give it the royal treatment and age it in cognac casks for 10 months. Garún Garún is freeze distilled, and the aging process awakens heady tones of oak and vanilla in addition to the intensely rich palate of chocolate, licorice and coffee. 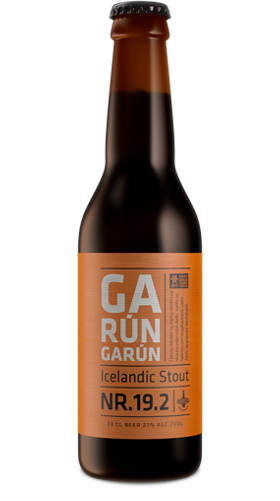 Garún is named for the heroine of one of Iceland’s most popular folktales, The Deacon of Dark River. A tale of ghosts and undying love.